Ahead of Starlink: Battle For Atlas’ big free Spring update, coming later this month, Ubisoft has confirmed that it won’t be releasing any more physical toys for the game, due to lower-than-expected sales. When Starlink was first announced during E3 2017, Starlink’s big gimmick was its accompanying range of real-life plastic ships, pilots, and weapons – which could all be snapped together and switched independently to bring different combinations in and out of play. At the time of its reveal, some pointed to the fact that other toys-to-life games, such as Skylanders and Lego Dimensions, were already falling out of favour with the public. It’s not entirely surprising, then, that Ubisoft has now explicitly confirmed that its toy range didn’t exactly fly off the shelves. “Starlink: Battle for Atlas has been a passion project for us from the start, and we are incredibly proud of the modular Starship technology we have developed, and how well players have responded to it,” the company wrote in a new blog post. 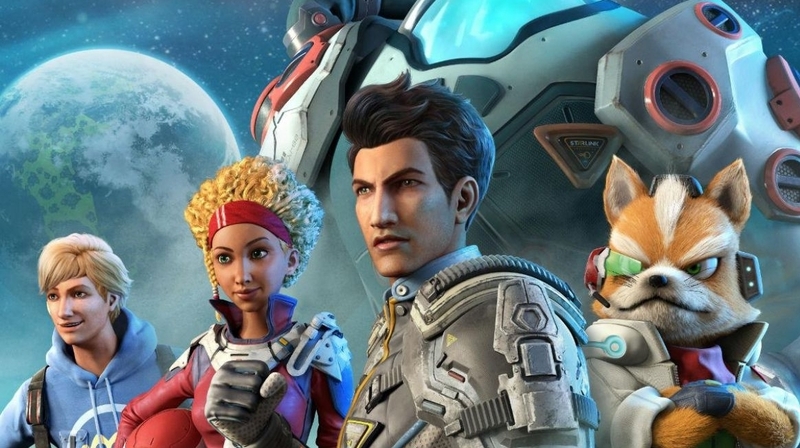 The free update, which is coming to Xbox One, PlayStation 4, and Switch this April, will also add new missions, challenges, and activities to Starlink’s open-world-esque galaxy, including Outlaw Racing and, exclusively on Switch, new Star Fox missions. Personally, I’ve been completely (and unexpectedly) engrossed in Starlink over the last few weeks, having grabbed the digital edition on a whim during the recent Switch sale – and I’m genuinely looking forward to seeing more meat on its gorgeous, if somewhat limited, bones. Starlink’s core is frequently superb – battling through space and whizzing round those beautiful planets, doing odd jobs and holding back enemy tides, feels marvellous, and the whole thing is wonderfully goodnatured with bags of personality. There just aren’t quite enough different ingredients to stave off a sense of excessive repetition in later hours, though, so more stuff should go down a treat. Starlink’s big update doesn’t have a release date yet, but hopefully Ubisoft will rectify that soon.